Made of FSC® 100% hardwood flour and recycled plastic, along with UV light absorbers and anti-oxidants, to produce a high quality composite decking product, which outperforms traditional treated timber. Say goodbye to unsightly screws on your composite decking with our secret clip system, guaranteeing a clean, finished installation. Calculate the amount of HD Deck you will need. 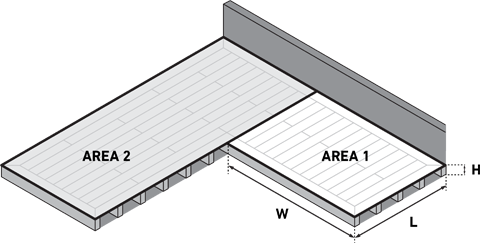 Add as many areas as you need and enter the required details. Interested? Why not order a sample? Our composite decking exclusively uses wood that is FSC® 100% from well managed sustainable sources that can be traced back to its origin, along with recycled plastic. The Forest Stewardship Council® (FSC®) logo on a wood or wood-based product is your assurance that it is made with, or contains, wood that comes from FSC® certified forests or from post-consumer waste. Containing nothing but fibre from FSC® certified forests. FSC® certified forests have been independently audited to meet FSC’s® 10 Principles and Criteria for Forest Management. 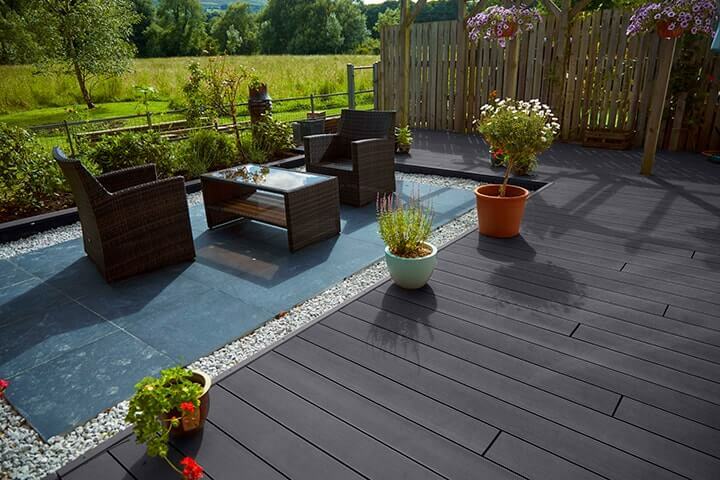 Use our configurator to help you choose the right colour for your composite decking.